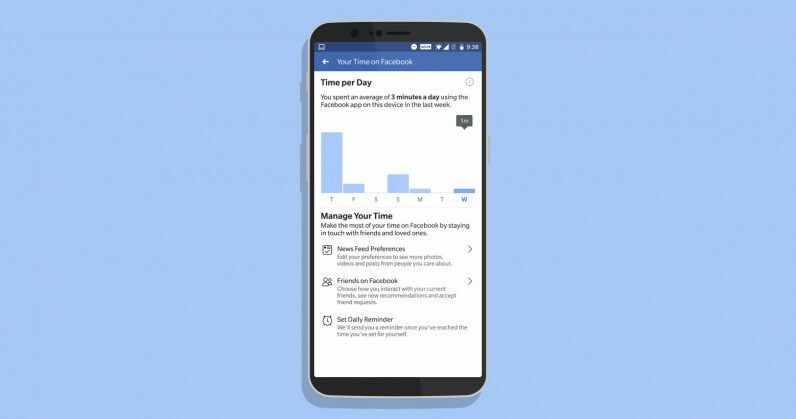 We first heard in June that Facebook was working on a feature to help you track and manage the amount of time you spent in its mobile app. Following a delay after the company announced its rollout in August, it’s finally here. If you’re keen on curbing the amount of time you waste on the social network, I’d recommend using the dashboard to first understand just how many minutes or hours you spend with it, and then look for a different – and healthier – activity to replace your cumulative Facebook breaks. You could, for example, go for a walk or a jog, play a sport, or practice playing a musical instrument. If you find that you mostly use it at work or in other situations where you can’t leave your location to pursue some physical activity, consider meditating, reading books or learning new skills with your phone. As I’ve learned in my ongoing attempt to battle screen addiction, breaking new habits and building new ones take time, so you’ll need to make an effort to stick with both processes. What are your top tips for cutting down on time spent on social networks, and what do you do instead? Let us know in the comments.